Tours and travels taxi service in Patiala: 1313 Taxi delivers the most reliable and affordable tours and travels taxi service in Patiala in the Punjabi giant city Patiala. As can be seen, taxi services have got an important place in the modern tourism industry and also growing on rapidly. 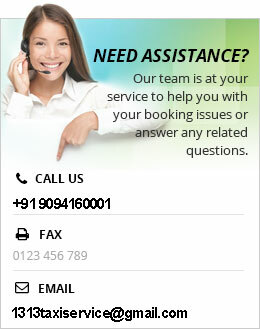 To meet the situational requirements of the tourism industry, we at 1313 Taxi, have a clear mind to work accordingly. 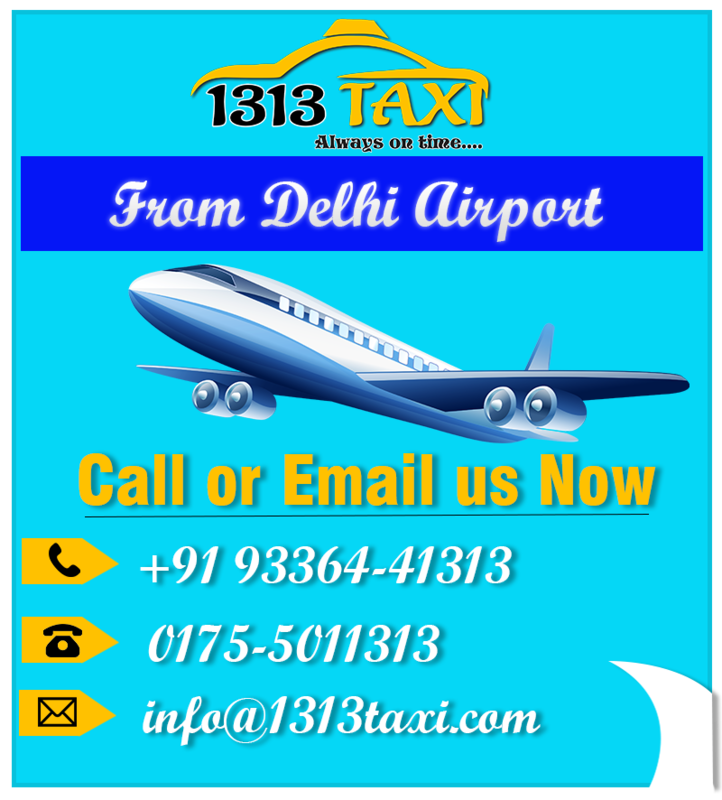 We really understand and have an in-depth study of the phenomenon to provide our customers with the quality taxi service in Patiala. Our taxi services are specially designed and modified considering customer’s basic travel requirements. Moreover, we are specialized to plan out the full route of the journey in advance such that from the source point to the destination point. Apart from this, our trained support staff let you gain the amazing traveling experience with cab service in Patiala without any moment of stress. Whenever you are going to chalk out a plan to travel, the first thing that blast in your mind is the idea to search for a taxi over the internet. As you enter the keywords like ‘online taxi booking in Patiala’, 1313 Taxi will appear on the top. Thus it directly signifies our strong and well-settled image in the market. You just have to make a simple call to the Patiala cabs and we will be on the way. We have a well-furnished and amazing collection of various types of vehicles. Apart from the other things, the most important is the team of well-behaved drivers and other supporting staff. In facts, they are the drivers, who have to deal with customers personally. And we dominate our competitors’ especially in tours and travels taxi service in Patiala. Because we have a team of well-experienced, well-behaved, polite and soft-spoken drivers and other supporting staff members. Similarly they work keenly and trying to establish positive relations with customers to make their trip a memorable one. 1313 Taxi really try to manage our international visitors and have special vehicle arrangements in advance. Special Patiala airport taxi service is provided to the unknown visitors to Patiala. As they are new to the Patiala and they don’t know which is the best taxi Patiala and always confused. To fix their conflicts, 1313 Taxi is always there.